We finally start The Pearl of Great Price, or as we now call it, The Pricey Pearl. So far, it’s pretty much just a long conversation that God has with Moses trying to convince him how awesome he is. And we get the creation story of Genesis told in painstaking detail. Oh, and Satan pops in to say hello. 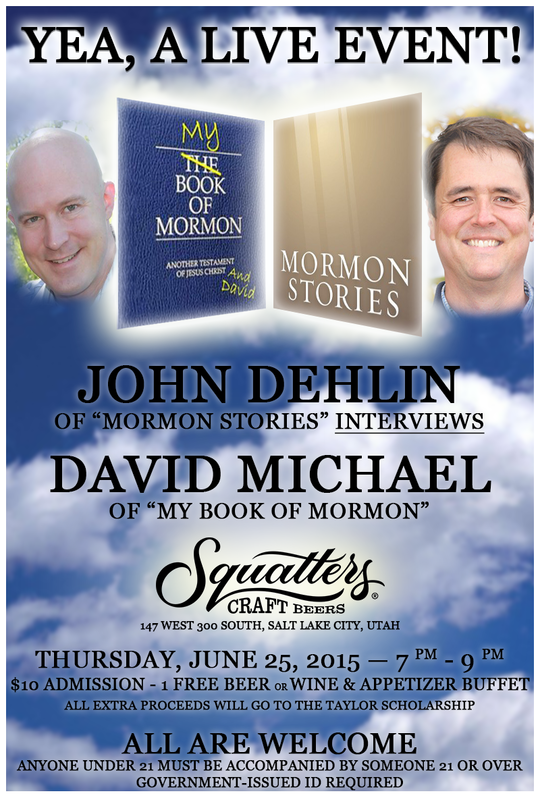 I’ll see everyone in Salt Lake City on June 25! It has been a long time since I last read the Pearl of Great Price, but I’m pretty sure Moses 1:41 is another verse supposedly foretelling of Joseph Smith (“another like unto thee”). FWIW. My god, what hath I done? You really hit your stride Mr. Michael, man of mystery, man of two first names. Congratulations and I squee like a little girl that there is so much material left to enjoy your soothing vocal cords. When I was getting ready to go through the temple I asked a lot of people what I should do to prepare. Everybody said: “Read the Pearl of Great Price. It has so much information from the Endowment in there.” So I read it for the umpteenth time. And it was just the same old thing as before. And then I went to the temple and it was a boring 70’s video of the creation and then Eve messing up and then Eve following Adam around while he had Important Conversations With Dudes while Satan twirled his cape.